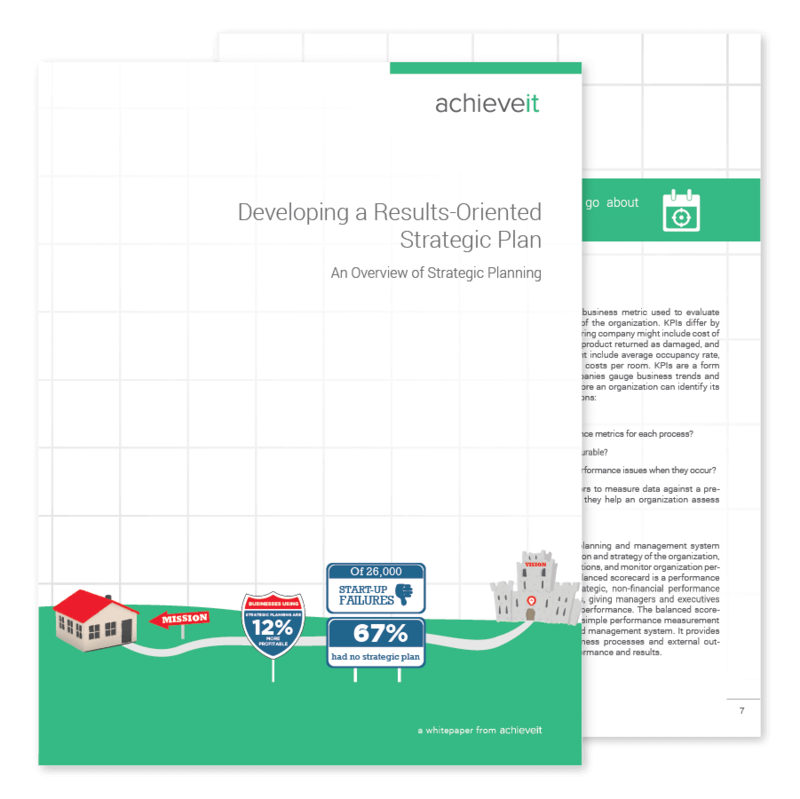 Download this white paper, Developing a Results-Oriented Strategic Plan, to learn the foundation of developing an actionable, results-oriented strategic plan, and gain a better understanding of the terms, definitions, and hierarchies. Every strategic plan has four fundamental components–goals, objectives, strategies, and tactics, each of which can help to enhance your organization’s likelihood of success when done correctly. How to develop a results-oriented strategic plan. The link between mission, vision, and strategy. The four components of a strategic plan. Evaluating the right strategic planning solution.